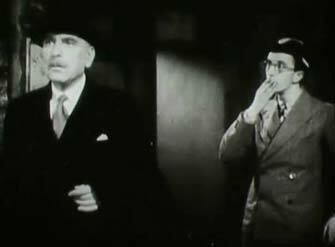 Charles Mortimer (left) and Charles Hawtrey, later to be see in the "Carry On" films. 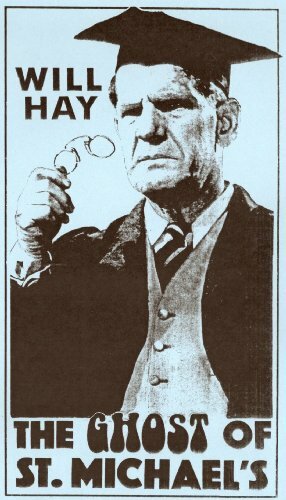 From The Nottingham Evening Post - Monday 07 July 1941. 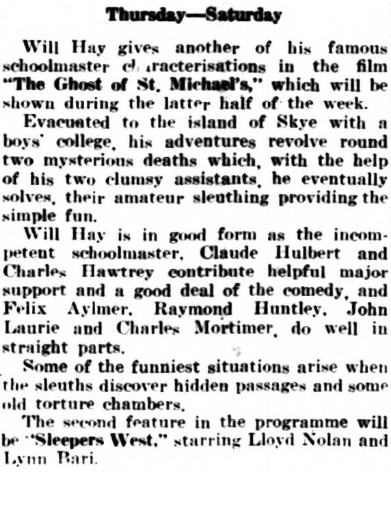 Storyline: The school of St Michael's is evacuated to a supposedly haunted castle on the Isle of Skye in Scotland. 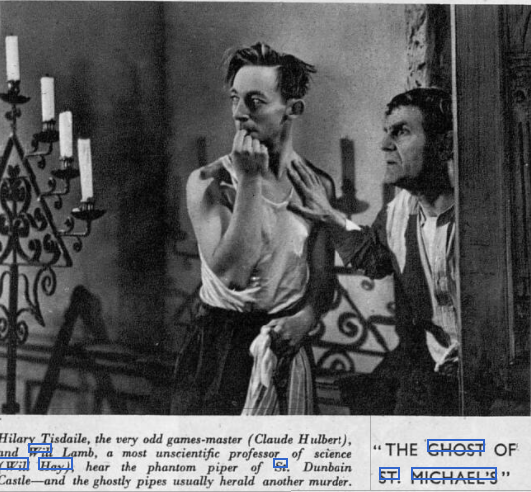 When the headmaster is found murdered the games master is suspected, but both the murder and the 'hauntings' turn out to be the work of a gang of Nazi agents. From The Hawick News and Border Chronicle - Friday 25 July 1941. From The Illustrated Sporting and Dramatic News - Friday 25 April 1941. 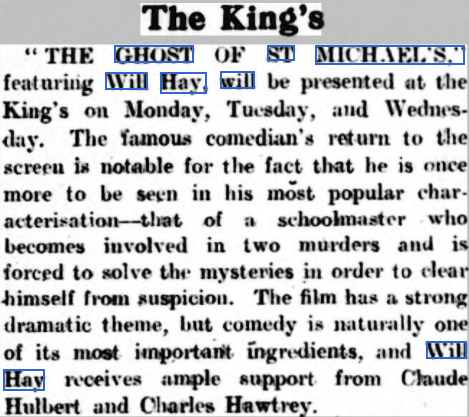 Taken from The West Sussex County Times of 25 July, 1941.